We will be open Friday Dec. 14, from 3pm-5pm sell pre cut trees only. This will be our last day to be open for the 2018 season. We still have a around 10 or so pre cut trees like Fraser, Noble and Nordmann. Our choose and cut portion of the farm is shut down. We will not be cutting down any more trees this year. We will still open our gift shop selling wreaths, ornaments, nativity sets and other gift ideas. I will be updating website any more until well close down for season. You can call and check voice mail for latest info. We open Friday Novermber 23rd @10am for the 2018 tree season. Until we are sold out. Fresh Cut Fraser Fir displayed in water at the Elves Farm Christmas tree lot. We also have Noble Fir and Nordmann Fir availible in our pre cuts. 2011 Texas House of Representatives 20 foot Christmas Tree provide by Elves Farm. We also provide the tree for the Texas Senate Floor. Freshly Flocked real tree at the Elves Farm gift shop. 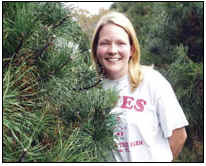 We flock Noble Fir, Fraser Fir and Nordmann Firs. The Elves Christmas Tree Farm has hundreds of Fresh Cut Fraser Fir, Noble Fir and Nordman Fir trees to choose from in our Christmas tree lot located at our farm. We always display our trees in water to assure freshness. If any question contact us at 903-463-7260. The Elves Christmas Tree Farm is located one hour north of Dallas. We are conventently located on FM120 between HWY 75 and HWY 289. Thank you for checking out the Elves Christmas Tree Farm and Pumpkin Patch web site in Denison, Texas. If you are looking for a fresh Christmas tree or the perfect pumpkin you are at the right place. We will provide you and your family with a good time and memories which will last a life time. If you are interested in picking the perfect pumpkin or cutting down your own tree come to our farm. We also carry a full line of pre cut Christmas tree on our tree lot. We feature Nordman Fir, Noble Fir, Grand Fir and Fraser Fir's in the pre-cut tree lot. We are located one hour north of Dallas between Hwy 75 and Hwy 289 on FM120. If you are interested in a tour for your school or organization check out the School Tours link. So call today to book your school or organizations tour 903-463-7260. Choose and Cut Christmas Tree Farm - Opens Friday 11/23/2018 at 10am - No early sales. We open starting the first Friday after Thanksgiving, 10AM-5PM, Saturday's 10AM-5PM, Sunday's 1-5PM, Mon.-Fri 3PM-5PM until sold out. Our farm is a choose and cut farm and a full line tree lot with pre cut trees in Fraser Fir, Noble Fir and Nordmann Fir. We carry only the highest quality pre cut trees for our tree lot. Our farm is 75 acres of fun for the whole family so do not forget the camera. Farm Specialties: Cut down your own Christmas tree, we have the freshest pre cut trees in town, hayrides, The Mazes, farm zoo, wreaths, flocked Christmas trees, picnic areas, tours, snacks, drinks, gifts, arts and crafts, restroom, country atmosphere, and free hot apple cider (no cider during October due to Bee's) or coffee. 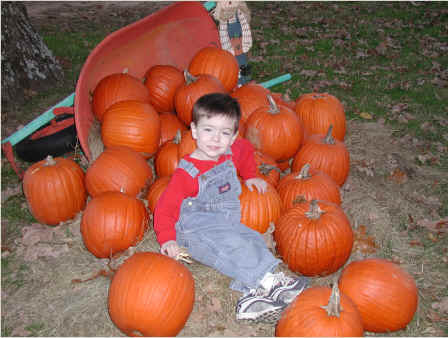 We also offer a Pumpkin Patch every weekend during October. We are open Saturday's 10am - 5pm and Sunday's 1pm - 5pm throughout the month of October. Our farm offers hayrides, The Maze, Dress the Scarecrow, and farm zoo and much more. Our barn is full of Pumpkins, Gourds, Indian Corn and many specialty pumpkins (Big Macs, mini's, Carnival Squash, Cinderella, Lumina and Fairytale pumpkins). Click the PUMPKIN PATCH link for more information. The Elves Christmas Tree Farm has been a family tradition since 1989 in North Texas, so grab the family and make a day of it. Come join a parade of people gathering for fun activities in our country fair atmosphere! Hope to see you soon. Pumpkin Patch, Dallas, Fort Worth, Allen, Plano, McKinney, Anna, Howe, Melissa, Pumpkin Patch.